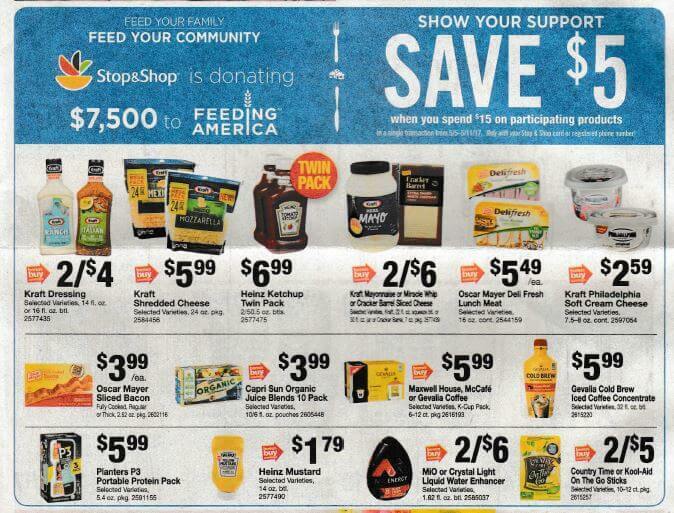 From 5/05 – 5/11 Stop & Shop, Giant, and Martin will have a great instant savings deal on participating Kraft items! The deal is Spend $15.00 Save $5.00 Instantly! We came up with a few great deals based on the Liquid Water enhancers and the On the Go Sticks mixes! For our first deal we can pick up 6 of the Mio Water Enhancers priced at $3.00 each. That will bring our total to $18.00. We have a $1/2 MIO LIquid Water Enhancers, from the Regional 4/30 Smart Source insert. We’ll use 3 coupons, receive our instant savings and pay a total of $10.00! That’s only $1.67 each! 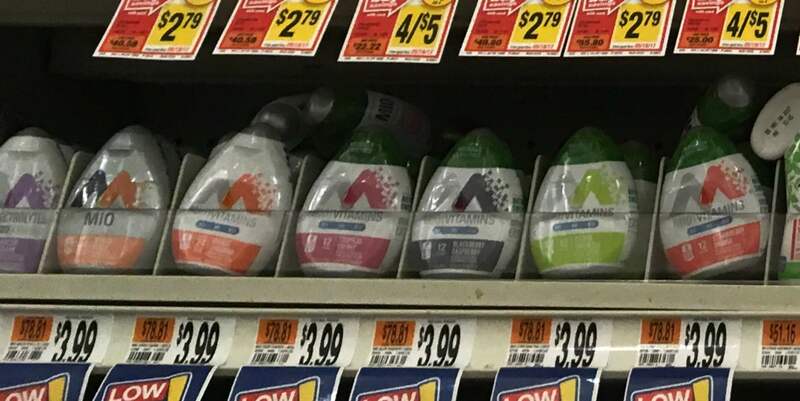 Also included and priced at $3.00 is the Crystal Light Liquid Water enhancers, priced at $3.00 each. We can do the exact same deal as the Mio, but we’ll use 3 of the $1/2 Crystal Light Liquid or Powder Drink Mixes, also from the Regional 4/30 Smart Source insert. After stacked offers we’ll pay just $1.67 each! Lastly, Country Time or Kool Aid On the Go Sticks are also included in the deal and priced at $2.50 each. We have a $1/2 Kool Aid Liquid or Powder Drink Mixes, and a $1/2 Country Time or Tang Drink Mixes, both coupons are also from the Regional 4/30 Smart Source insert. We can pick up 6 of these, use 3 coupons and pay a total of $7.00 that makes each one only $1.17 each! These are some great deals on all of the items listed! Stock up! Beyond Grain Free Cat Treats or Fancy Feast Duos Just $0.90 at Weis!